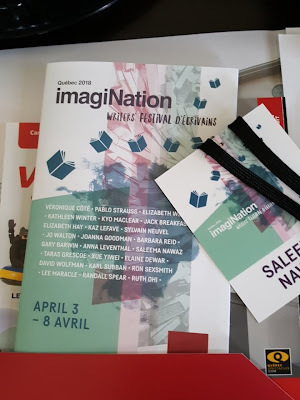 This past Saturday I travelled to Quebec City for the imagiNation Writers' Festival. 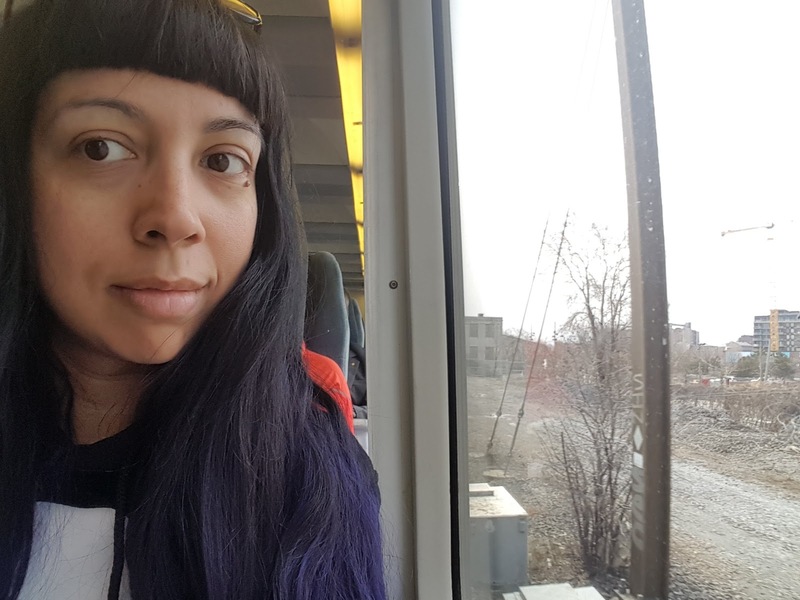 I love reading and working and sleeping on the train, and I brought an overstuffed purse filled with more podcasts, albums, books, games, pens and notebooks than I could have used in 16 hours. 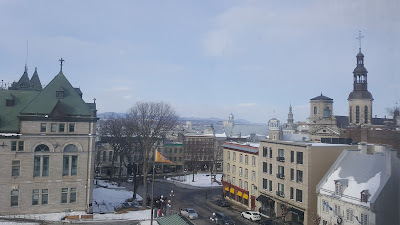 But Quebec City is only three hours away, so after some reading and a nap, I got there in time for dinner with good friends from Montreal (also visiting Quebec City), followed by drinks with my fellow panelist and her partner. Not only had spring not yet arrived in Quebec City, there was actually a snowstorm while I was there. I was glad to have been warned to wear my boots. A picturesque view from my hotel window. The next day I got ready for the festival. Festival program! I wish I could have stayed all week. I got there early and had a chance to take a tour of the building. The Morrin Centre is run by the Literary and Historical Society of Quebec, which was founded in 1824 and is the oldest existing learned society in Canada. Housed in a former jail (which held prisoners of the War of 1812! ), the Morrin Centre has a gorgeous old library, as well as cells in the basement that have been preserved as a museum. 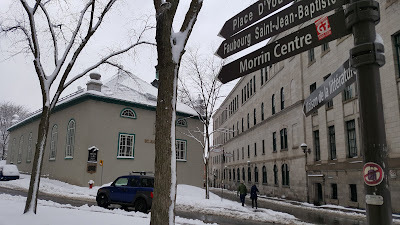 It also has an old science lab: the jail was renovated in the mid-nineteenth century to house Morrin College, which awarded degrees through its affiliation with McGill University. 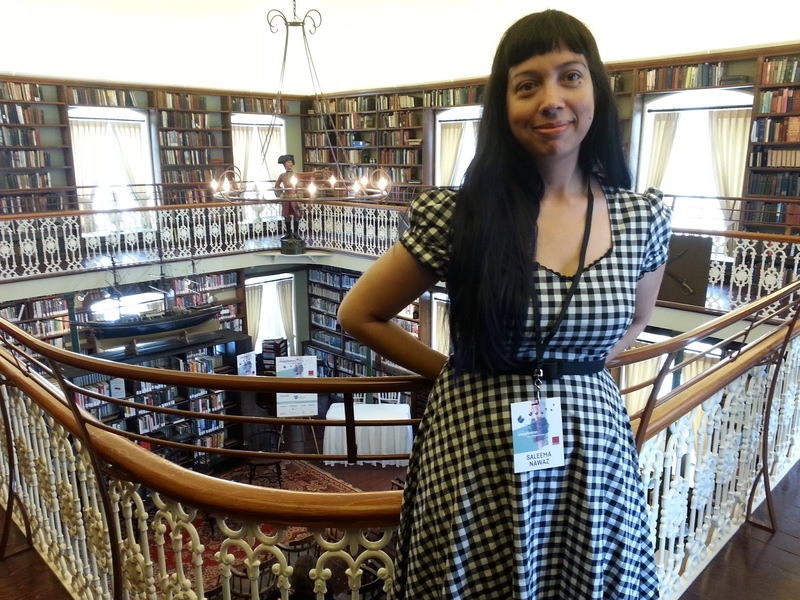 Me in the gorgeous library of the Morrin Centre, with the famous statue of James Wolfe in the far background. Then it was time for the panel itself. 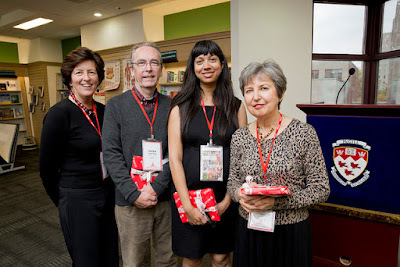 I was reading with awesome fellow Montrealer Anna Leventhal, author of Sweet Affliction. We talked about Montreal and female narrators and other writing-related topics with the lovely Julia Caron of CBC. 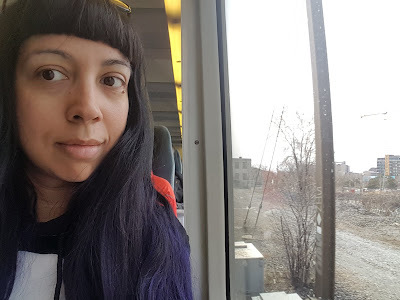 Then I had a glass of wine, chatted with friends and festival-goers, signed some books and then it was back to the train, where I actually did manage to do some of the reading and listening I'd planned on before it was back to Montreal and real life. I wrote most of this post last night, then rewatched some 90s comfort television, then tried to go to sleep. A little after one in the morning, I checked the news and saw what had happened in Quebec City, and then sleep was no longer an option. I honestly thought I could not feel worse about the state of the world last night than I already did. Every day brings some new horror. I wish for the naivety of just a few hours ago. The end of 2016 was full of work of all kinds, including a few things I'd never done before. Lots and lots of intense writing and editing. I received a lot of requests about manuscript consultations and writing coaching, but I had to put everyone off until the new year. And I still haven't gotten back to everyone as I still don't have time to do the work, which I feel bad about. I'm thinking of putting such work on indefinite hold for the year unless I can find an established press or a writing program to work with...i.e. somebody else outsourcing manuscripts for professional edits for a set, flat fee. 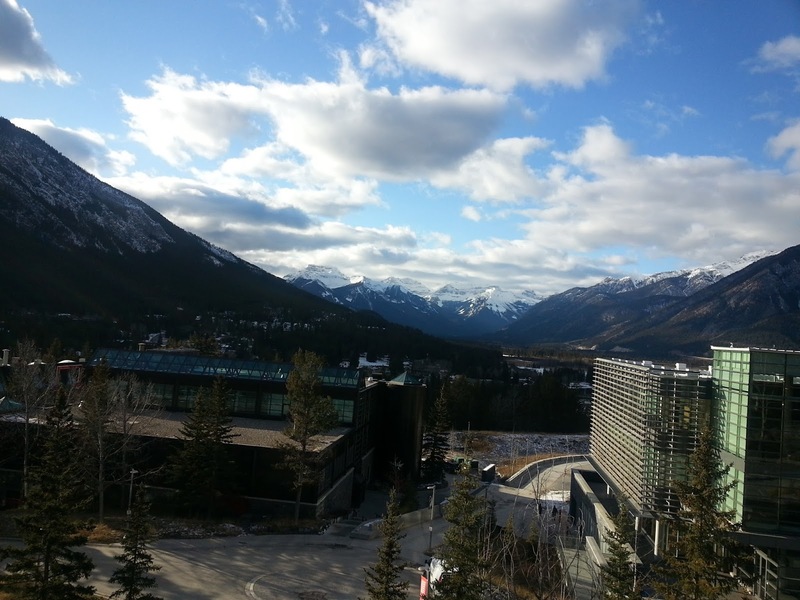 The highlight of fall 2016 was teaching in the Emerging Writers Intensive program in Banff. 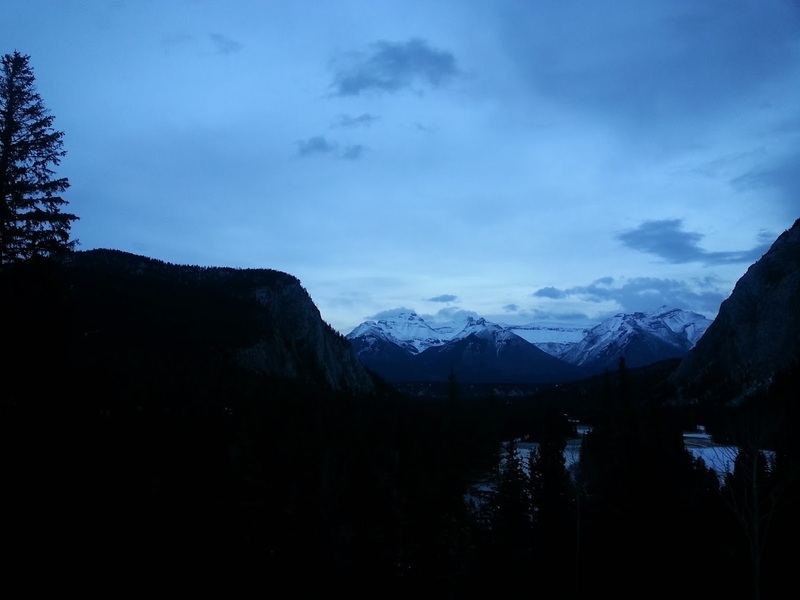 Banff is a magical place, not just for its incredible beauty but for the special alchemy of a place dedicated to art and creativity. 2017 has started out in such a frightening way. Like most people I know, I find the news these days to be a constant horror show, and yet I can't look away. I don't want to start writing about it now, as I'm not sure how to start...or stop. What else? There's never enough time to do all the things I want to do. I feel like I have a pretty good handle on time management, but it's never quite good enough. One of my resolutions for 2017 is to blog more, but this is one I have rarely been successful at fulfilling. Just know that there are piles of books and magazines and toys everywhere. We desperately need to vacuum. That is just the way things are. Maybe someday it will be better. Little L is growing a lot. 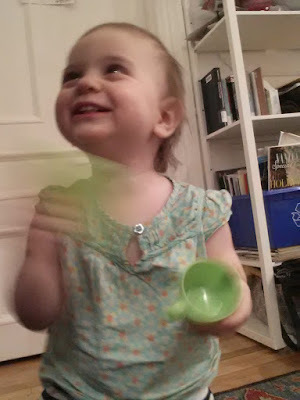 Ninety per cent of photos of her are blurry as she's always moving. 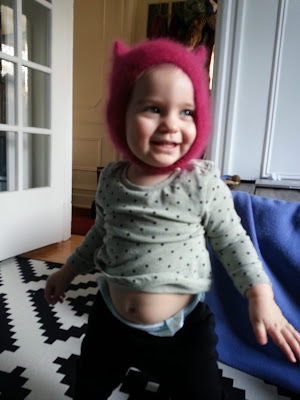 And she is funnier and sillier every day. I've called her a silly goose so often that now when she erupts into giggles at her own antics, she always yells out, "Goose!" If there's one thing that's certain about the writing life, it's that it isn't for anyone who is interested in immediate gratification. It is something you do because you love language. Because you love creating characters and telling stories. Because you can't not do it. 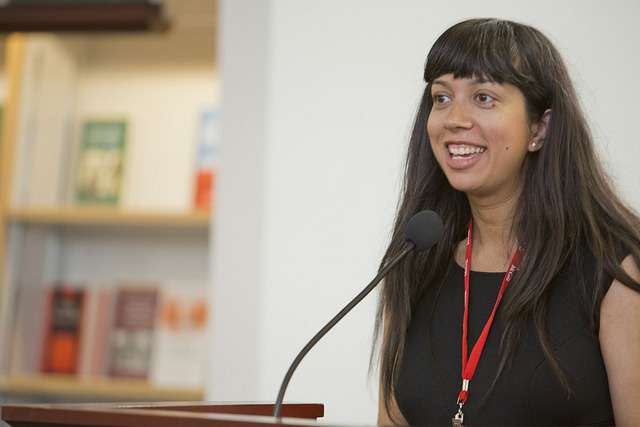 If you're lucky, there are highs: acceptances, grants, awards. 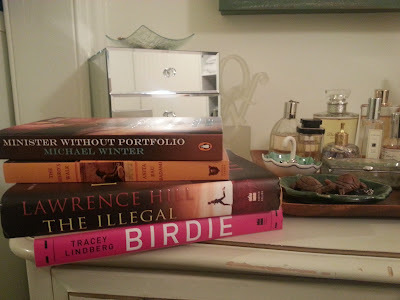 Personal notes from readers who loved your books. But most of the time, you're alone. Writing. And of course there are the grants you didn't get, the stories that got rejected, and the 1-star Goodreads reviews that haunt your dreams. There's always someone who's doing better than you: who gets a better review, who sells more books, who's on the cover of a magazine. I'm willing to bet that even if you have a book on the New York Times' bestsellers list, there's always something to be unhappy about if you start comparing yourself to other people. Writing takes forever. Most of the time, you won't be the one with a book coming out, or with a book on a shortlist or a starred review. I think when it happens, you need to enjoy it. You should share your good news and be gracious and humble and remember that the same randomness and luck and quirks of taste that are working for you now might not work for you later. And the rest of the time, you need to be genuinely excited about other books and other people's success. Because it's worth remembering that at any given moment, there are always more wonderful books to enjoy than are being talked or tweeted about by the general public. 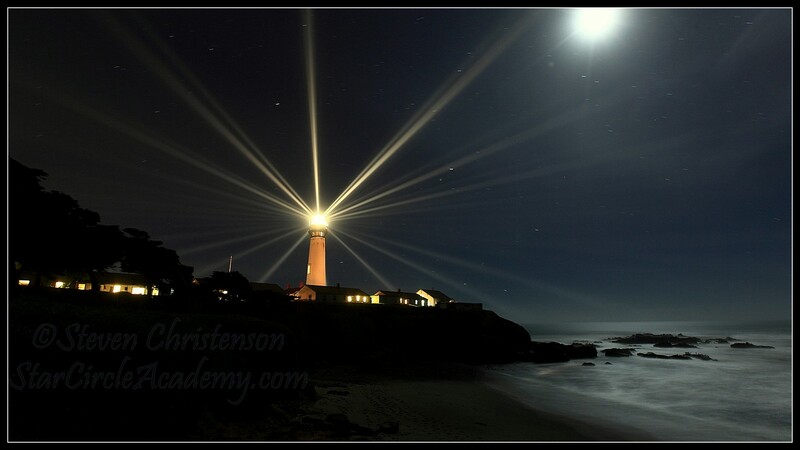 Where is the light that will shine on every worthy book that comes out in a given year? My kingdom for a light! So go forth and read and tell everyone about all the wonderful books you read this year...not just the ones they already know about. * For some reason I can't quite fathom, these all happen to be Goose Lane titles. Things have been busy here. I think over the past two weeks, I've written five blog posts...in my head. 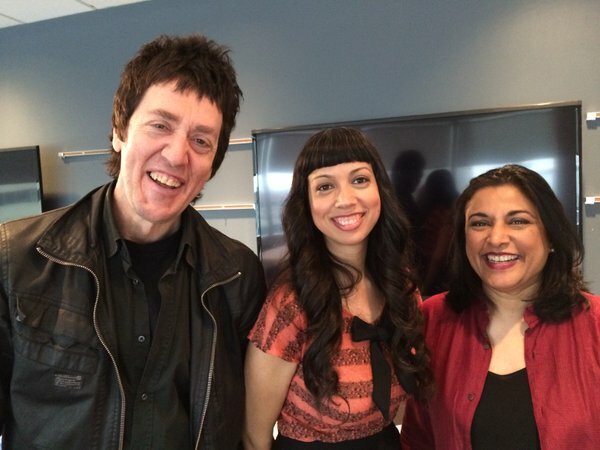 I did a bunch of syndication interviews on CBC radio. This means (I think) that all the stations around the country are informed in the morning that you'll be sitting in the booth for a certain amount of time and they can call in to speak to you and tape a segment or put you on live on one of their shows. 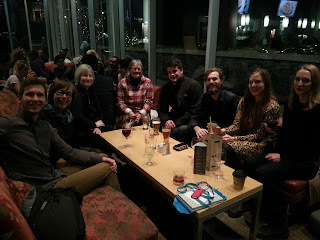 So I got to hang out at CBC for four hours and ended up speaking to people in 12 different locations around Canada (Charlottetown, Whitehorse, Kelowna, Winnipeg and many more). I always find it nerve-wracking doing radio segments when you're not in the same studio as the interviewer. It's like talking on the phone....and I'm not much of a phone person. But they were all more fun when they were happening than I would have expected. 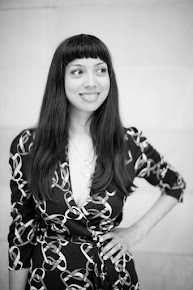 And while trying to prepare for those syndication interviews at CBC Radio I found this interview in Maisonneuve magazine I did in 2013 with the brilliant Melissa Bull, who made me laugh a lot. 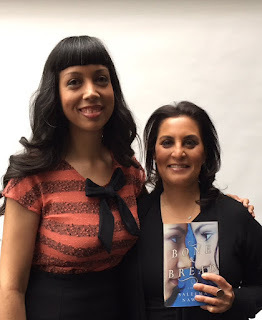 I had so much fun in this conversation, and I really liked the way she approached the novel. I always meant to share it here and never did. So voila! 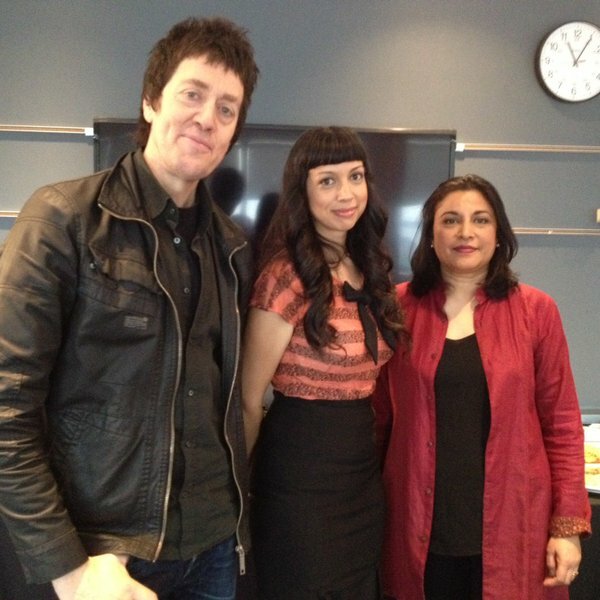 Then I went back to CBC a few days later and taped segments for the Canada Reads broadcast. I think this was the deciding straw in whether or not I will listen to the show when it airs --- because as apprehensive as I might be about listening to people debate the merits of my book, I'm twice as afraid of tuning in and hearing my own voice! But one very fun thing I got to do as part of all this was put together a playlist for the novel. This is something I've been meaning to do since before the novel came out...at first just for fun, as I thought I'd blog it, then possibly for other blogs/sites who asked me (unfortunately, I never got around to it...doh), but I'm sort of glad I ended up not getting my act together until now because I have some distance and clearer thoughts about it PLUS I think it means that some of songs will be played on CBC radio as I recorded some intros and throws. I'll share the playlist here if it ends up on the web, too. 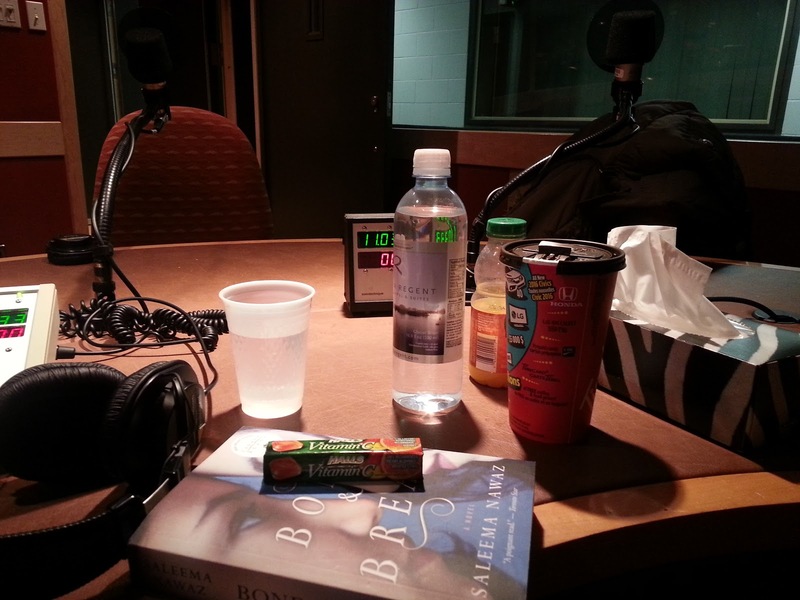 Sitting in a CBC studio with all my cold remedies. And if that wasn't enough, I've been pushing myself like mad to finish a rough draft of a large project that I've been aiming to complete by February. I pretty much finished on Friday, though I'm going to take Monday to fix the last, rapidly hammered out parts. Thank you, Leap Year! 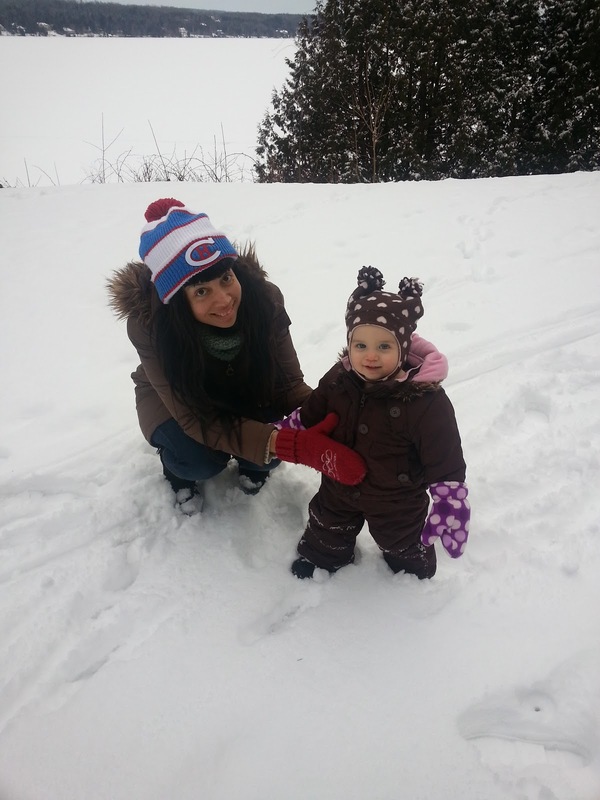 This week my friend K stopped by Montreal on her way to Ottawa with her mom and her very sweet one-month old baby. While we were killing time waiting for the restaurant to open, we stopped by Indigo to scope out the Canada Reads display and K took some photos. 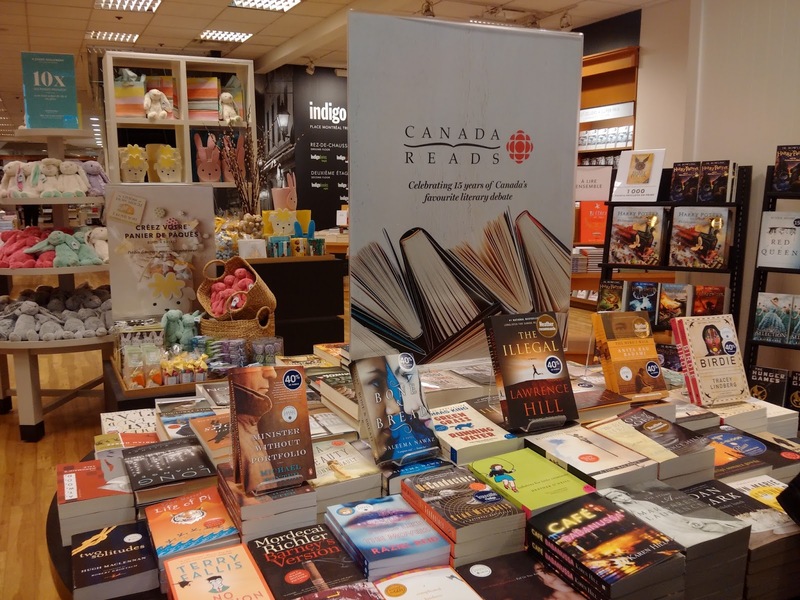 Yay, Canada Reads! Just look at the amazing company Bone and Bread is in! I am one of those people who buys a lot of non-book items at Indigo. They do such a good job with their displays. Look at those bunnies back there!! I think I am going to go back and get one for a certain little someone. And speaking of that little someone, of course, she has been keeping me busy, too. Mixing prints: not just for fashion bloggers! 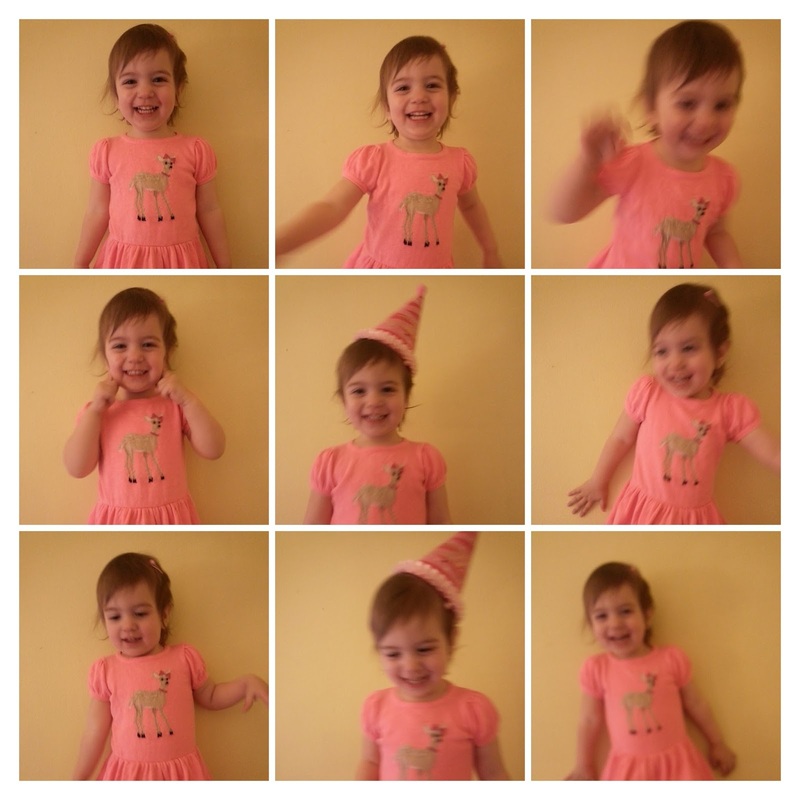 She is getting cuter every day and understands so much more than she can vocalize. Starting about a month ago, she became obsessed with books beyond just pulling them off the shelves and chewing on the spines. Now she is demanding them all. the. time. Even while she's eating. And we usually give in. It might not be cultivating good manners, but it's hard not to be indulgent when it comes to babies and books. She moves so fast now, almost all my photos are blurry! Trying to get her to take a step in the snow (no go). There have been lots of other fun things going on, too: choir, scotch club, Pixelles events, knitting. Although I'm on extended parental leave at the moment, I have worked at McGill since I moved to Montreal 10 years ago. 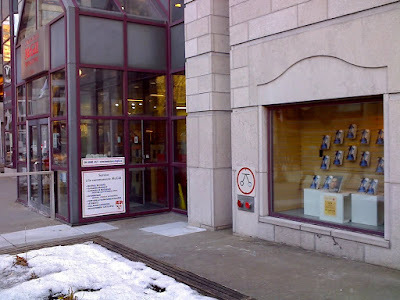 I would visit the university bookstore on my lunch hour and peruse the fiction section, wondering if they would ever stock one of my books (this is before I ever wrote one) and if this imaginary book would rate one of their featured little red tags reading, "McGill Author," or if those were only reserved for alumni. I can't remember if I ever blogged it and I can't find the photo now, but one day (and I think I have a philosophy student to thank for this) Bone and Bread appeared on the shelf with that coveted little red tag. It was an exciting moment! Then I had the pleasure of doing a Lunch & Livres Homecoming 2014 event at the Bookstore with two other wonderful Montreal writers, Elaine Kalman Naves and Peter Kirby. I don't think I ever shared the photos, so here are a few. I was exactly 8 months pregnant at this event. Baby bump visible! And red McGill Homecoming lanyard. But to get to the point, this week, a professor from the philosophy department sent me these photos of a Canada Reads display in the McGill Bookstore window. Thank you!! 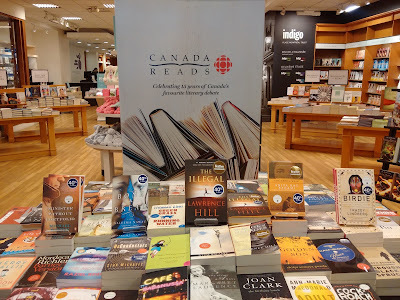 Is that a Canada Reads display? Tonight I'm focusing on two other books at a Drawn & Quarterly event at the Rialto Theatre: Killing and Dying by Adrian Tomine (this book killed me...in the best way possible) and Was She Pretty? by the endlessly talented Leanne Shapton. That's right. I get to hang out with the cool kids tonight. See you there? 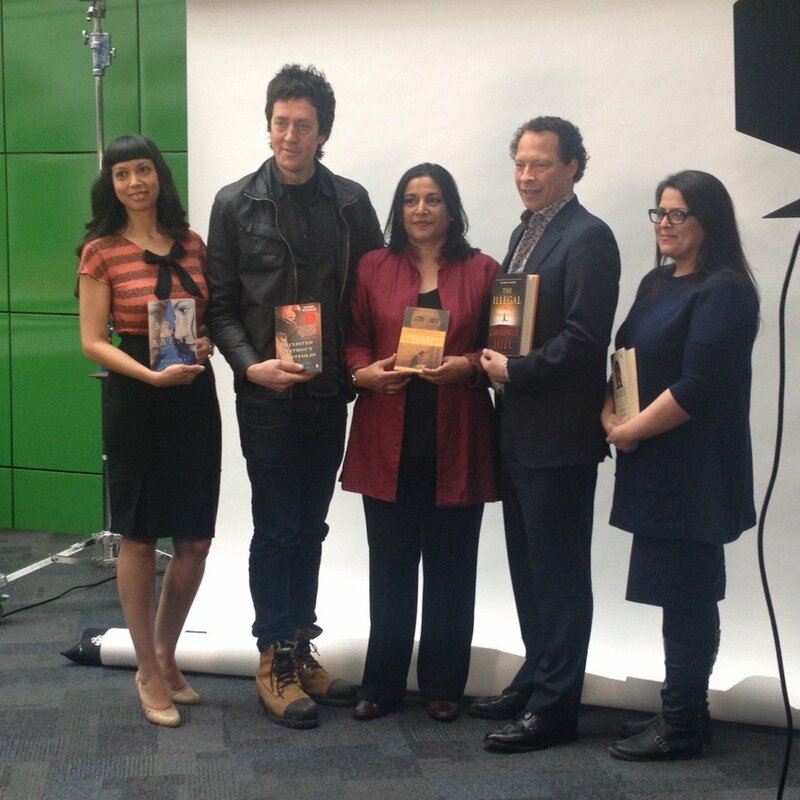 Behind the scenes of Canada Reads 2016! 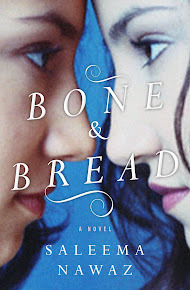 Bone and Bread was selected to be part of Canada Reads 2016! You can click the image to go to the Canada Reads CBC page. 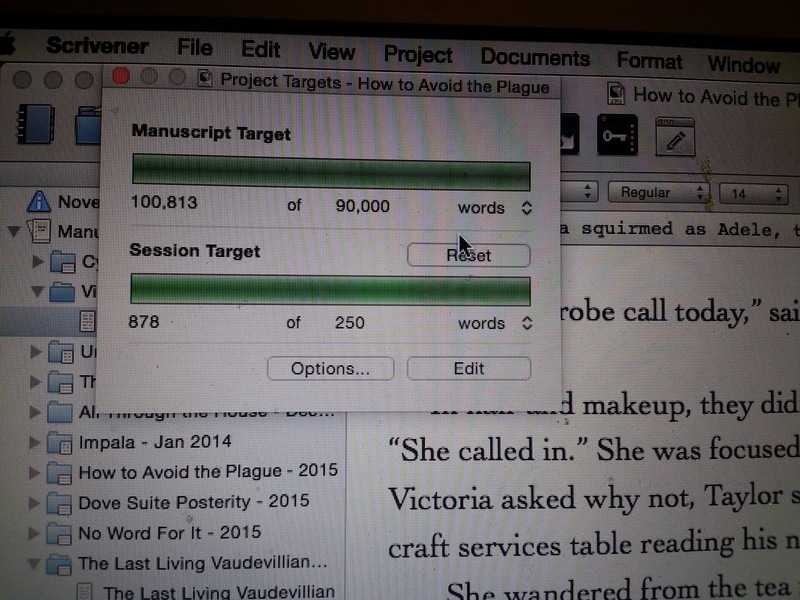 Cue massive, ongoing celebration!!!!!!!!!!!!!! My last post was about my love of book clubs, and Canada Reads is about as close as we get to a national one. It has been a little over a week since my whirlwind trip to Toronto for the day it was announced, and although I think I have responded to everyone who sent me kind messages of congratulations, I want to say thank you again!! It makes it even more exciting to know that people are excited right along with me. So here's the Canada Reads scoop. I found out a little bit ahead of the announcement that Bone and Bread was on the shortlist, and a little bit after that that Farah Mohamed was going to be defending it. I arrived in Toronto late on the night Jan. 19th. Just before midnight, I received an email letting me know who the other writers and defenders were going to be. I was extra curious because the smarties over at the Goodreads CBC Books group had been speculating for a few days about who the panelists might be, based on all the clues that had been dropped. (They actually got a bunch of them right!) If I had gone to bed early, the way I knew I should have, I wouldn't have read the email and stayed up for another hour Googling everyone! Really, the night before a photo shoot, one's only homework is probably getting a good night's sleep. Oh well. I guess that's what makeup and coffee is for. 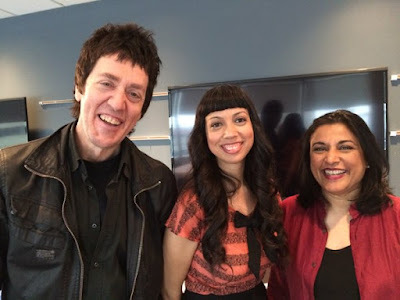 With the lovely Michael Winter and Anita Rau Badami. Smiling! With two brilliant writers: Michael Winter and Anita Rau Badami. Fun fact re: Anita Rau Badami -- we met a dinner party in Montreal! Fun fact re: Michael Winter -- well, I kind of feel like every fact about Michael Winter is a fun one, but I have been a fan of his writing long before I started running into him at events and festivals in the context of being a writer myself. His novel The Architects Are Here is one of many books I read (and loved) while working on Bone and Bread, but he has such a powerful voice that there is a short passage present in the novel where I had put down his book and felt the spirit of Michael's inimitable style upon me. Of course, only Michael Winter sounds like himself and I'm sure this part is only detectable to me, but there are a few sentences in my novel that wouldn't be there, quite in the form they are, if it wasn't for him. So thank you, Michael! Finally, everyone was there and it was time to take photos. I think it was Lawrence Hill (a former Canada Reads winner and therefore already a pro) who explained the right way to cradle your book for the photo -- so you don't cover up your name. Top tip! The professional photos are being rolled out by CBC in their various promotional materials for Canada Reads, which I will repost here as they become available. I'm so happy you liked my novel! 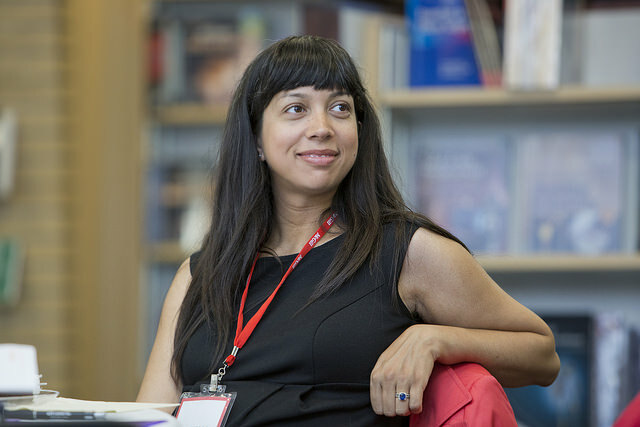 Farah Mohamed is the founder and CEO of G(irls)20, an organization that empowers girls and young women around the world to create a new generation of female leaders. Having read about the organization as well as her many other professional accomplishments, I was more than a little intimidated to meet her, but she immediately put me at ease as she is incredibly warm and approachable and fun. She also seems like a fierce debater! I know other Canada Reads fans will be jealous of this sweet stack. No library holds for me! Another awesome bonus. All in all, an exhausting but wonderful trip to Toronto. It was so nice to meet everyone at CBC, and House of Anansi publicist extraordinaire Laura Meyer took such good care of me...even helping me make it to the Turner exhibit at the AGO before my afternoon flight home. So I will probably share a few more Canada Reads-related things over the next few weeks before the show happens in March. I beg your indulgence ahead of time! I will try to mix it up with a few other things, so it doesn't get too tedious. 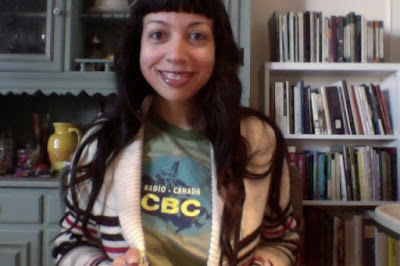 Home again, wearing my CBC fangirl shirt. Do I look as ecstatically happy as I feel? I think so! A lot of it was a learning experience. I didn't set out to do book club visits -- it was just something that started happening, and I was flattered and happy to be invited. I'm proud to say that I experienced a lot more anxiety before the early visits than I did before the ones at the end. I struggled a lot with what I should charge (if anything), and while that is probably a whole other blog post in and of itself (why artists..who usually need the money more than anyone.. end up doing things for free that anyone in any other profession would charge for! ), I consulted with other writers and did some soul-searching and eventually arrived at a number I could feel good about and which clubs were happy to pay. My only regret is not taking more photos. The fact is that as a writer, you are not necessarily the authority on everything in your own book. Yes, you can say whether the bagel shop in your novel is based on this one or that one (Fairmount, for the record) or whether your character has an eating disorder because you used to have one yourself (nope), but I like to let other people talk about what the novel is about. And I like to take notes. I've learned a lot this way. My other favourite part (besides the always mind-blowing experience of having a dozen people discuss your characters as though they actually exist) was how inspiring it has been to witness so many friendships between women that have endured over decades and that have been enriched by books and their shared discussions. Many of the groups I visited have been gathering for TWENTY YEARS! 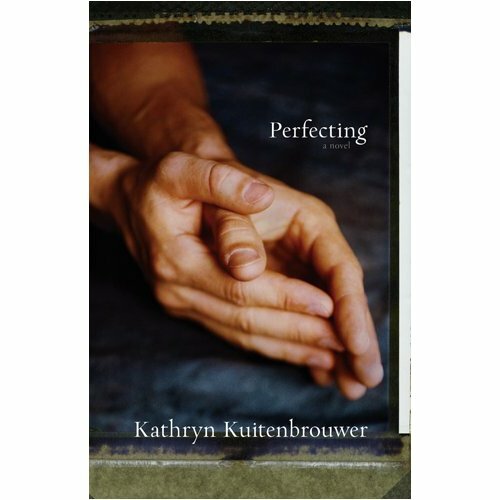 They have seen each other through the births of their children, divorces, cancer...everything. Female friendship is where it's at, and I got a sneak peek at some amazing ones. These visits were truly soul-nourishing. As a writer you spend most of your time working alone, and the majority of writing events (e.g. public readings and panels at writers festivals) are for an audience who is unfamiliar with your work. 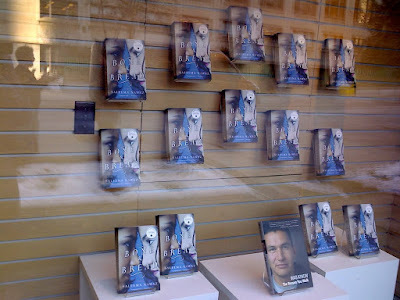 If you're lucky, a few people will pick up your book at the end. But getting to meet people who have made a point of reading your novel and talking about it...? It's a treat I hope all my writer-friends get to experience. 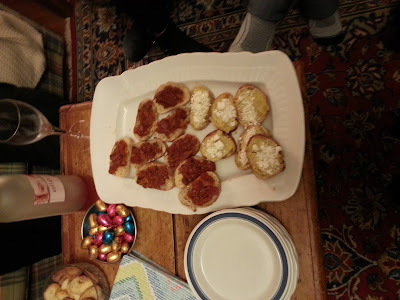 And speaking of treats, did I mention the snacks? These book clubs had some great snacks! There were many groups in contention for being my favourites, but I think I have to give it to the club that did themed food to match Bone and Bread. 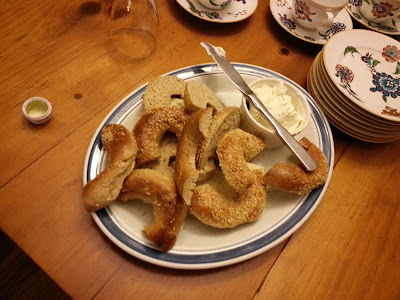 Bagels and cream cheese, of course! 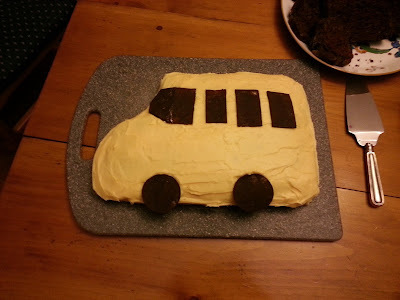 bake for Quinn for one of his birthdays in Bone and Bread. 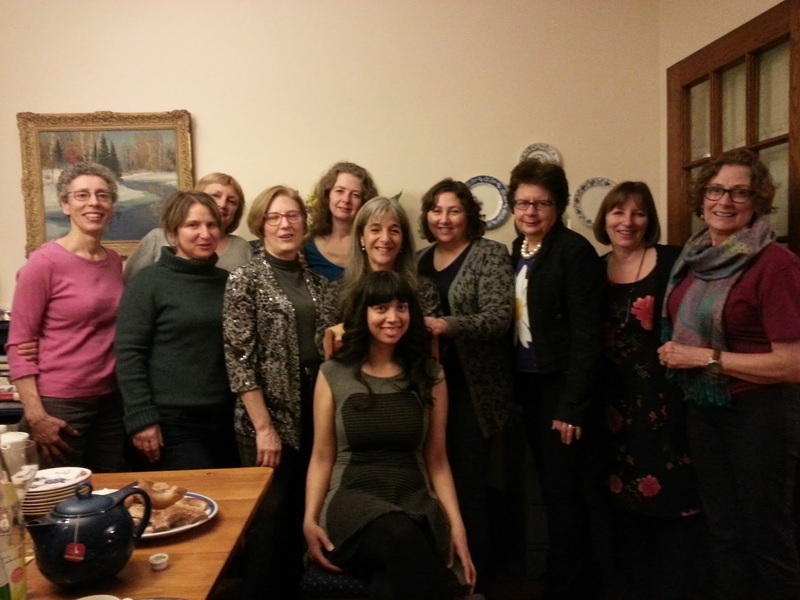 And here are a couple of photos of me and this amazing book club -- one of the twenty-year ones, whose members were all terrific readers and who had a very lively and passionate discussion about the novel. I'm sharing two shots as the obliging husband who took the photo caught some of us with smiles in one and some of us in the other. It really almost makes one think it is enough to have engaged readers, even without literary prizes. I know a lot of writers would agree. Of course, the one (prizes) often leads to the other (readers), so it takes you back to square one, a little bit. At any rate, a sincere and profound thank you to every book club that hosted me: you made me feel as though my work mattered, and there is truly no better feeling. And thank you to all the other book clubs (I know you're out there) who have chosen Bone and Bread for your discussions over the past two years. I'm honoured and privileged to have played a part in the conversation. Share book reviews and ratings with Saleema, and even join a book club on Goodreads. 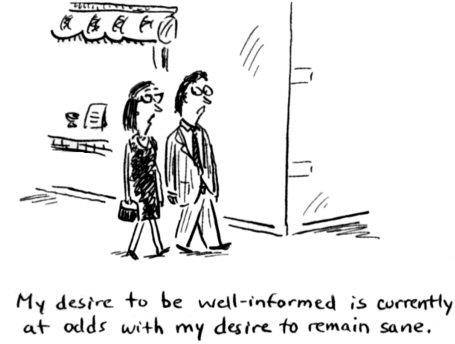 All content © Saleema Nawaz. Header image and 'About me' photos by Dallas Curow. Simple theme. Powered by Blogger.